Thank you, Mike for taking the time to share your knowledge with Troop 414! It is remarkable that so many different types of trees are in the Park and how historic they are. Your map is beautiful as well as informative… A true work of art. It was my pleasure, Annemarie. Getting ready for the walk gave me some impetus to finish some details that needed to be done. And seeing how the kids and adults used the map is very helpful to me. 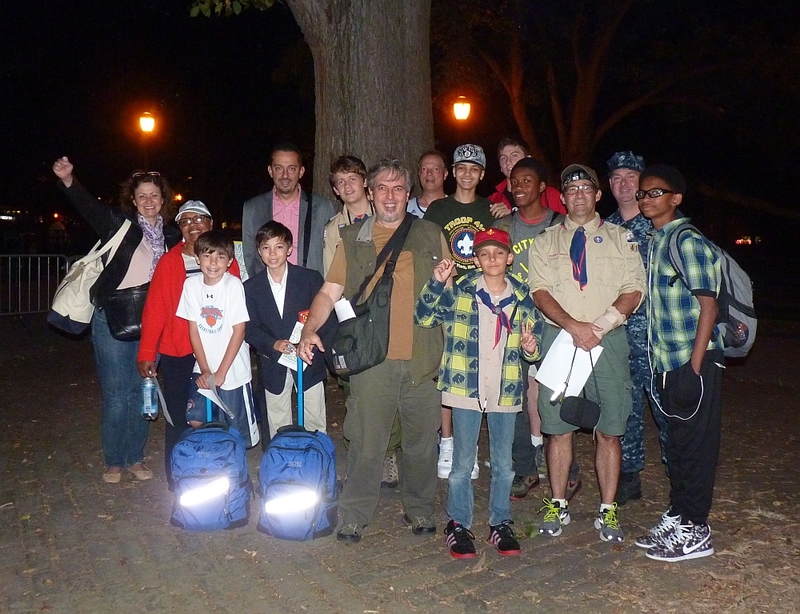 Thank you so much for showing our Scouts and families the beauty of our neighborhood. We cannot wait to visit again! I wish you continued success. Thank you, Gary, your enthusiasm made it a pleasure.